As we already know, water is important for maintaining optimal health. 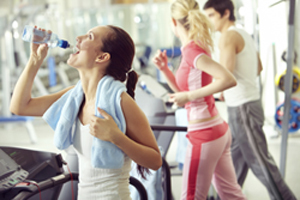 Dehydration can be prevented by drinking enough water every day. However, water that is not properly filtered can cause more harm than benefit to our bodies. There are invisible contaminants in our tap water that can be toxic to the body. Tap water may contain toxic chemicals such as lead, copper, mercury, aluminum, chlorine or fluoride plus various bacteria and viruses. Some chemicals are added to our water supply. Some particles travel through the pipes to our home faucets. Exposure to these harmful substances over time may contribute to weak immune systems, high blood pressure, respiratory disease, kidney problems and cancer. Water filtration systems can be installed to purify tap water. But how effective is your water filter in removing all the water contaminants? Commonly available water filters may not eliminate all the harmful particles in the water. And remember, clean water does not need to taste like chlorine. The best you can do to protect yourself from these impurities is to make sure that your water is totally free from toxins. Bottled water is a safe and sure solution for this problem. Bottled water passes through several different purifying processes before it is packaged. Reverse osmosis and carbon filtration are part the treatment processes. Bottled water tastes better because clean water is tasteless. To ensure that you are drinking clean water, you want to invest in professionally filtered bottled water. Truly clean water provides healthier hydration for your body. ICE H2O bottled water is professionally filtered at a water treatment facility and is purified through reverse osmosis and carbon filtration. When you drink ICE H2O you can rest assured that you are drinking truly pure and safe bottled water. This entry was posted in Community Connections and tagged bottled water, clean drinking water, clean water, IceH2O, Water filtration. Bookmark the permalink.